From left are Frankie Latham, Lorraine Durning, Eric Becker, Andrew Leibenguth, and Major Sharon Whispell. 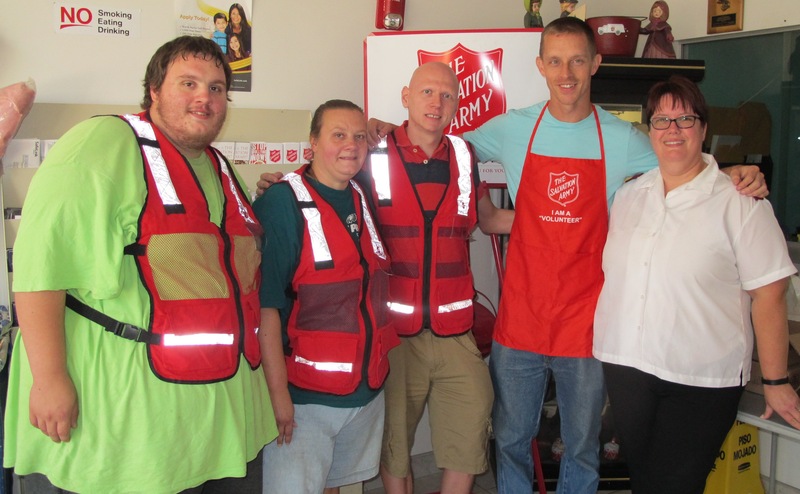 Volunteers from the Tamaqua Salvation Army’s Emergency Disaster Services (ESD) will be leaving today (Thursday, September 24, 2015) to assist 100 other Salvation Army members feed thousands of emergency responders and other officials on-hand during Pope Fancis’ visit to Philadelphia. EDS is anticipating serving 93,000 lunches and dinners to public safety personnel during the Papal Visit. Local volunteers include Frankie Latham from Lansford, Lorraine During from Lansford, Eric Becker from Shenandoah, Andrew Leibenguth from Tamaqua, and Major Sharon Whispell of the Tamaqua Corps. OFFICIAL PRESS RELEASE – Emergency Disaster Services (EDS) is rallying 100 volunteers from Greater Philadelphia, the Eastern Pennsylvania and Delaware Division, and sister divisions to distribute food and beverages to emergency responders working in the city that weekend. Volunteers will staff EDS canteen trucks at six fixed locations throughout center city, old city and the art museum areas cordoned off to incoming vehicle traffic. Over the course of two days, volunteers will hand out a total of 93,000 pre-packaged lunches and hot dinners courtesy of Wawa. They will also travel throughout the secured areas delivering meals to emergency personnel at more than 50 sites. The Salvation Army’s Pendel Brass band is also preparing for Pope Francis’ visit, tasked with the great honor of playing at Logan Circle during the Festival of Families event on Saturday, September 26. As many as 50 Salvation Army brass and timbrel players will take to the stage to play for the crowd estimated to be over one million people that day and likely to be seen by people all over the world via the internet. The performers are as young as teenagers and others are officers of The Salvation Army who have been playing for many years. “This performance is a joining of Christian faiths, both committed to the needs of the hungry and the poor through the gospel of Jesus Christ,” said Pendel Brass Music Director Gavin Whitehouse. The papal performance is a family affair for the Avery family. Major Carl Avery, Major Kathryn Avery and their 23-year old son Jon will be among those playing with the Pendel Brass. Major Carl, Divisional Financial Secretary, and son Jon, Divisional Youth Program Specialist, both play coronet. Major Kathryn, Program Secretary for the Division, plays the alto horn. As The Pontiff told Salvation Army General Andre Cox in a personal meeting in December 2014, despite theological differences between The Salvation Army and the Catholic Church, both have a shared dedication to serving the homeless, the hungry and the poor united through the love of God and one another. Pope Francis’ visit to the City of Brotherly Love will be a special event indeed, with The Salvation Army lending a helping hand. Below are photos during a recent WBRE/WYOU television interview. 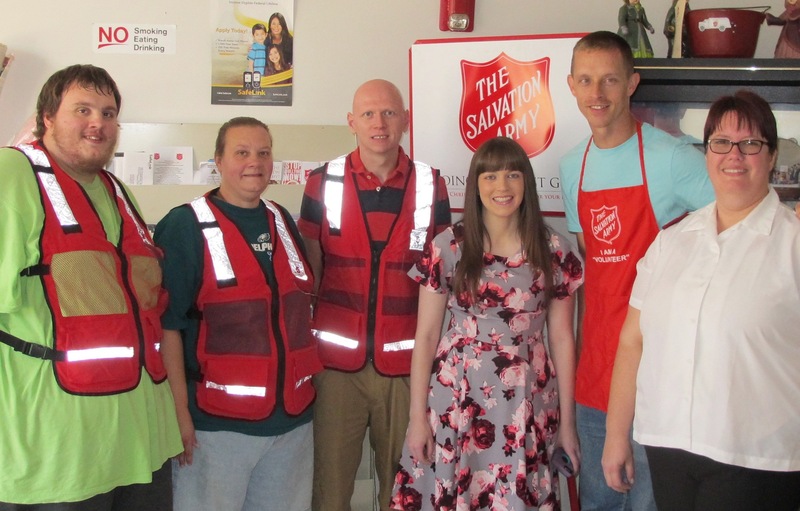 Story: http://www.pahomepage.com/news/salvation-army-volunteers-prepare-for-papal-visit.